Did you know that people who practice mindfulness are much happier and healthier than everyone else? It’s true. And they have greatly extended life spans, too. As a matter of fact, there have been numerous studies showing that mindfulness meditation dramatically reduces, and even reverses disease of all types. But the benefits of mindfulness don’t stop there. 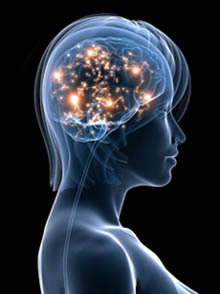 Studies also show that experienced meditators -those who are able to achieve the deepest levels of mindfulness meditation – are able to tap into dormant levels of brain function they never thought possible -levels of function that exist in each and every one of us -resulting in increased intelligence and moving us closer to answering life’s mysterious questions. Upon closer examination of mindful meditators’ brains, they consistently show to function at a superior level than the average person’s on every single test, measurement, and assessment generated among the scientific community. In fact, if you do your homework, you’ll discover that many of history’s greatest inventors, philosophers, and scientists received their revolutionary, future -changing ideas during their daily meditation sessions. One of the reasons mindful meditators experience greater levels of happiness and health is because mindfulness meditation significantly increases the brain’s production of several euphoric chemicals -the same chemicals that flow through your bloodstream on those days when you’ve never felt better. Even more, mindfulness allows these euphoric brain chemicals to be produced constantly. Meditators also sleep much better than everyone else. As a matter of fact, they have shown to need fewer hours of sleep every night because their minds and bodies are completely refreshed and rejuvenated during their highly pleasurable mindfulness meditation sessions. Mindfulness is also known for providing its practitioners with superior mental and emotional health, it rids our minds of subconscious layers of anger, depression, anxiety, fear, phobias, and sadness, and produces a perfect mental and emotional balance. People who practice mindfulness are also known to have more friends, maintain healthier relationships, and feel a great deal more satisfied and content with their lives. With all of the dramatic improvements mindfulness meditation can bring to our lives, why isn’t everyone doing it? Well, for one, traditional methods of meditation can sometimes take a great amount of time, effort, and consistency – just to get the hang of it. And it sometimes takes years of practice before you are able to reach the deepest, most pleasurable, and most beneficial states of mindful meditation. For some, the learning process can be a bit boring and feel like a chore. As with everything else, only those who are extremely dedicated, disciplined, and committed are able to attain the lion’s share of life-enhancing benefits that meditation has to offer. If you’re like most people in this time-constrained world, you don’t have the necessary commitment to learning mindfulness meditation. But what would you say if we told you that with just a press of a button, you could have access to the same deep, highly pleasurable, extremely beneficial meditative states as those with decades of experience? And get the same results in much, much less time, plus a host of other life -enhancing benefits? Well, thanks to Equisync, you can achieve precisely the same electrical brainwave pattern (also see this page) of profoundly deep meditation safely, simply, and effortlessly. A few minutes of your day is all that is necessary to transform your life! 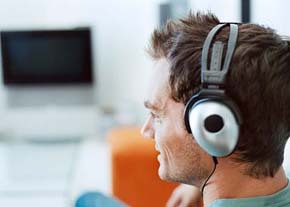 It is all done via EquiSync’s cutting-edge, precisely designed brainwave synchronization technology. Back in 1839, Dr. Heinrich Wilhelm Dove, a Prussian physicist and meteorologist, discovered that when you introduce tones with certain frequencies into each ear, you could actually entrain the electrical patterns within the brain to resonate in very specific patterns, called brainwave states. In 1973, ground-breaking researching by Dr. Gerald Oster, a biophysicist, renewed interest in this powerful field of study, laying the foundation for the hundreds of studies conducted since then, boosting the technology’s significance and importance immeasurably. With these studies in mind, Equisync’s revolutionary, multi-layered, multi-tiered approach was born. EquiSync is designed to synchronize and harmonize your brainwaves while allowing you access to the deepest, most pleasurable, and most beneficial states of mindfulness, much faster than the traditional route. Many psychologists, doctors, teachers, and other professionals have endorsed the technology while personally taking advantage of the limitless benefits that accompany Equisync’s precisely designed brainwave synchronization technology. It is such a profound field of study that many of the metaphysical benefits, those beyond our current scientific measure and technological & philosophical understanding, have yet to be discovered.